Move into the new year feeling rested, energized, relaxed & focused. Immerse yourself in yoga, meditation, healthy eating, hiking, beach & pool time, siestas, and lots of time to simply be. 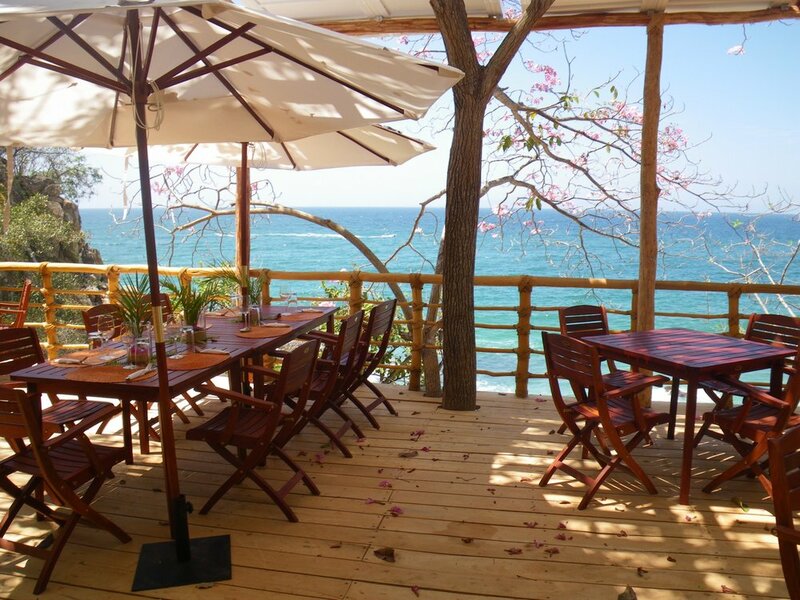 We'll be retreating at the Xinalani Retreat Center, located on a private beach in a small town named Quimixto, just 12 miles south of Puerto Vallarta International Airport (PVR). This tropical sanctuary is only accessible by boat and there are no roads for cars. So you'll really feel like you are getting away! LOTS of yoga! Morning energizing classes + evening chill-out/ restorative classes.We'll practice in open-air yoga shalas overlooking the jungle and sea, as well as on the beach. All levels, with suggested modifications for either a more challenging or gentle practice, depending on your needs. Class themes will be infused with how to live your yoga off the mat in everyday life. Meditation - Guided meditations will be included with each yoga class. Mindful, Healthy Eating - Delicious, nourishing, Mexican cuisine. Xinalani’s restaurant integrates traditional Mexican recipes with healthy cooking designed for yogis. Meals will include vegan, vegetarian, seafood and poultry options, and special diets can be accommodated. Sleep - Xinalani offers oceanfront accommodations in spacious, open-air, palm-thatched cabins built on stilts. You will enjoy the closeness of the natural elements and the stunning views of the Pacific Ocean from your terrace. And to guarantee your comfort, all beds in Xinalani have upscale pillow top mattresses, luxury linen, and gorgeous silky white mosquito netting. Hiking!!! The retreat center is situated on a hillside, so hiking to and from class, meals, and your cabana will be a continuous practice. Journaling - Some writing will be incorporated into the retreat, so bring your journals! Travel insurance is highly recommended! All monies received, above the non-refundable deposit of $500, will be refunded if the cancellation is made on or before 90 days prior to the first day of the retreat. Cancellations made less than 90 days prior to retreat are non-refundable. If the participant does not show up, shows up late, or leaves early for any reason, no credit or refund is available. Trips are non-transferable. All yoga, meditation and other activities are done at the sole discretion of the retreat participant. Participants assume full responsibility for any injuries or damages, known or unknown, which I might incur as a result of his/her participation. $500 to reserve your spot!